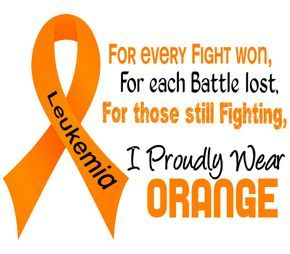 Leukaemia is a cancer that starts in blood stem cells (immature blood cells) in the bone marrow. Bone marrow is the soft, spongy material that fills the centre of most bones. Blood cells are made in the bone marrow. Blood stem cells develop into either myeloid stem cells or lymphoid stem cells. Modifications to Drug Combinations and Treatment Schedules. 2012 - Study ~ Tumor necrosis factor activation of vagal afferent terminal calcium is blocked by cannabinoids. 2012 - News ~ Can marijuana stop cancer? 2012 - News ~ Is Medical Marijuana Safe for Children? 2011 - Study ~ Cannabidiol induced a contrasting pro-apoptotic effect between freshly isolated and precultured human monocytes. 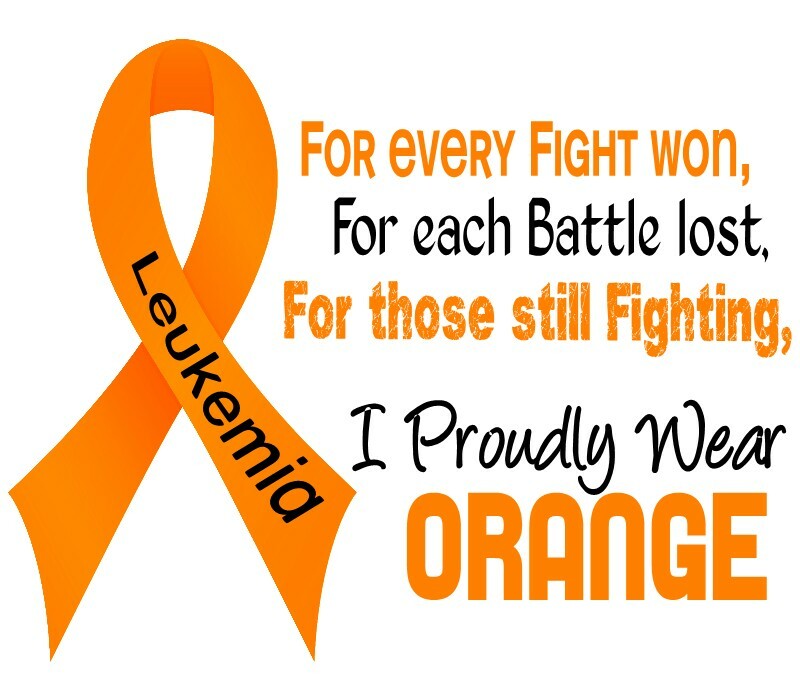 2010 - Study ~ Substance use and survival after treatment for chronic myelogenous leukemia (CML) or myelodysplastic syndrome (MDS). 2006 - Study ~ Is there a temperature-dependent uptake of anandamide into cells? 2006 - Study ~ Parental marijuana use and risk of childhood acute myeloid leukaemia: a report from the Children's Cancer Group (United States and Canada). 2006 - Study ~ The effects of cannabinoids on P-glycoprotein transport and expression in multidrug resistant cells. 2003 - Study ~ Gamma-irradiation enhances apoptosis induced by cannabidiol, a non-psychotropic cannabinoid, in cultured HL-60 myeloblastic leukemia cells. 1988 - Study ~ Fatal aspergillosis associated with smoking contaminated marijuana, in a marrow transplant recipient. 1977 - Study ~ Effects of cannabinoids on L1210 murine leukemia. 1. Inhibition of DNA synthesis. Measurement of Tumor Cell Viability and Induction of Apoptosis in Vivo. Groups of five C57BL/6 mice were i.p. injected with 1 × 106 EL-4 tumor cells suspended in 0.2 ml of PBS. The control mice received PBS alone. Ten days later, the mice were injected with various concentrations of cannabidiol (0, 12.5, or 25 mg/kg) i.p. The mice were sacrificed 24 h later, and the EL-4 tumor cells were harvested from the peritoneal cavity by injecting 5.0 ml of PBS, followed by aspiration of the peritoneal fluid from the cavity. The contaminating red blood cells were removed using red blood lysing solution (Sigma), and the tumor cells were washed twice with PBS. The number of viable cells was determined by trypan blue dye exclusion and apoptosis was determined using the TUNEL assay. The presence of tumor cells in the peritoneal cavity was confirmed by the ability of the cells to grow in vitro and by the phenotype (Thy1+, CD4-, CD8-). Statistical Analysis. Student's t test or Tukey Kramer tests were used to compare vehicle and CBD-treated groups. p < 0.05 was considered to be statistically significant. The New Drug Study Group in London discovered that Δ9-THC, the active ingredient in marijuana, works to kill leukemia cells by affecting the gene, MKP3, which may serve as a critical target for new drugs that are less psychoactive and less controversial. While leukemia treatment is largely successful, some patients cannot be treated with conventional therapy; 25 percent of children fail treatment, leaving them with a poor-prognosis outcome. Scientists have previously reported that Δ9-THC has anti-cancer properties, so its use as an anti-leukemia drug may be promising, however, the psychoactive side effects, as well as its current legal status, complicate its use in cancer chemotherapy. Researchers are now trying to identify the molecular pathways targeted by Δ9-THC in order to develop new drugs that combat the same disease-pathway without the unwanted side effects. In a study published in the February 2005 issue of Blood, Dr. Wai Man Liu and colleagues at St. Bartholomew's Hospital in London reported that Δ9-THC induced cell death in a panel of leukemia cells, including two AML cell lines. Surprisingly, Dr. Lui's group found that neither CB1 or CB2—the two receptors thought to mediate Δ9-THC effects—were involved in the leukemia cell death. Activation of the CB1 receptor in the brain produces the psychoactive effects associated with marijuana use. The CB2 receptor is usually found in cells of the immune system and may regulate immune function. Moreover, the anti-leukemia properties of Δ9-THC did not involve the p53 protein, which is often involved in cancer cell death; thus Δ9-THC did not appear to function through known pathways. Liu and colleagues used Affymetrix microarrays to investigate the mechanism of cell death induced by Δ9-THC. In doing so, they found that one gene, MKP3, an inhibitor of the MAPK pathway, was significantly induced. This was unexpected, but provocative as the MAPK pathway is thought to be involved in tumor cell survival. Further experiments confirmed that Δ9-THC inhibited the MAPK pathway in leukemia cells, providing both a mechanism and a potential target pathway for other anti-leukemia drugs. Using the Affymetrix Human Genome U133A 2.0 Arrays, the authors could simultaneously detect changes from more than 18,000 human genes in cells treated with Δ9-THC. This allowed the team to analyze thousands of genes beyond those previously thought to play a role in leukemia cell survival and death. The unbiased approach allowed the researchers to identify MKP3 and unravel the genetic pathways targeted by Δ9-THC. Liu and his team have begun to uncover the mechanism by which Δ9-THC kills those cells and potentially promotes longer-term survival. This is a crucial first step towards the much-needed development of new therapies that can eradicate this deadly disease of affecting millions of children and adults worldwide. For copies of Journal Articles, please contact the Publisher or your local public or university library and refer to the information in the Resource Relation field. For copies of other documents, please see the Availability, Publisher, Research Organization, Resource Relation and/or Author (affiliation information) fields and/or Document Availability. Murison, G. ; Chubb, C.B.H. ; Maeda, S. ; Gemmell, M.A. ; Huberman, E.
Monocyte maturation markers were induced in cultured human myeloblastic ML-2 leukemia cells after treatment for 1-6 days with 0.03-30 ..mu..M ..delta../sup 9/-tetrahydrocannabinol (THC), the major psychoactive component of marijuana. After a 2-day or longer treatment, 2- to 5-fold increases were found in the percentages of cells exhibiting reactivity with either the murine OKM1 monoclonal antibody of the Leu-M5 monoclonal antibody, staining positively for nonspecific esterase activity, and displaying a promonocyte morphology. The increases in these differentiation markers after treatment with 0.03-1 ..mu..M THC were dose dependent. At this dose range, THC did not cause an inhibition of cell growth. The THC-induced cell maturation was also characterized by specific changes in the patterns of newly synthesized proteins. The THC-induced differentiation did not, however, result in cells with a highly developed mature monocyte phenotype. However, treatment of these incompletely matured cells with either phorbol 12-myristate 13-acetate of 1..cap alpha..,25-dihydroxycholecalciferol, which are inducers of differentiation in myeloid leukemia cells (including ML-2 cells), produced cells with a mature monocyte morphology. The ML-2 cell system described here may be a useful tool for deciphering critical biochemical events that lead to the cannabinoid-induced incomplete cell differentiation of ML-2 cells and other related cell types. Findings obtained from this system may have important implications for studies of cannabinoid effects on normal human bone-marrow progenitor cells. Grant support: NIH grants R01DA016545, R01ES09098, R01AI053703, R01AI058300, R01HL058641, R21DA014885, and P30CA16059. Liu WM, Scott KA, Shamash J, Joel S, Powles TB. Delta(9)-Tetrahydrocannabinol (THC) is the active metabolite of cannabis, which has demonstrable cytotoxic activity in vitro. In support of our previously published data, we have investigated the interactions between THC and anti-leukemia therapies and studied the role of the signalling pathways in mediating these effects. Results showed clear synergistic interactions between THC and the cytotoxic agents in leukemic cells. Additionally, exposure of cells to sub lethal levels of THC (1 microM) sensitised cells to these cytotoxic agents, by reducing IC(50) values by approximately 50%. Sensitisation appeared to be dependent upon the ability of THC to down regulate phosphorylated ERK, as cells dominantly expressive of MEK were not sensitised to the cytotoxic drugs by equi-molar amounts of THC. Overall, these results demonstrate for the first time that a combination approach with THC and established cytotoxic agents may enhance cell death in vitro. Additionally the MAPK/ERK pathway appears responsible in part for these effects. From the New Drug Study Group, St Bartholomew's Hospital (SBH), London, United Kingdom; the Department of Medical Oncology, SBH, London, United Kingdom; the Centre for Cancer Therapeutics, Institute of Cancer Research, Surrey, United Kingdom; the Department of Medical Oncology, Charterhouse Square, London, United Kingdom; and the Barry Reed Oncology Laboratory, SBH, London, United Kingdom. Δ9-Tetrahydrocannabinol (THC) is the active metabolite of cannabis. THC causes cell death in vitro through the activation of complex signal transduction pathways. However, the role that the cannabinoid 1 and 2 receptors (CB1-R and CB2-R) play in this process is less clear. We therefore investigated the role of the CB-Rs in mediating apoptosis in 3 leukemic cell lines and performed microarray and immunoblot analyses to establish further the mechanism of cell death. We developed a novel flow cytometric technique of measuring the expression of functional receptors and used combinations of selective CB1-R and CB2-R antagonists and agonists to determine their individual roles in this process. We have shown that THC is a potent inducer of apoptosis, even at 1 x IC50 (inhibitory concentration 50%) concentrations and as early as 6 hours after exposure to the drug. These effects were seen in leukemic cell lines (CEM, HEL-92, and HL60) as well as in peripheral blood mononuclear cells. Additionally, THC did not appear to act synergistically with cytotoxic agents such as cisplatin. One of the most intriguing findings was that THC-induced cell death was preceded by significant changes in the expression of genes involved in the mitogen-activated protein kinase (MAPK) signal transduction pathways. Both apoptosis and gene expression changes were altered independent of p53 and the CB-Rs.